Is it unprofessional for physicians to wear Apple Watch? One of the trending themes of the Apple Watch reviews so far has been the gluttony of notifications the Apple Watch spews out in default mode. The Verge highlighted this in their video review — around the 3 minute mark they show how many distractions the Apple Watch can provide when having a simple conversation with someone. Not only is this problematic for casual conversations, as Patel shows so well during his review, but it’s even more worrisome for physicians who want to wear the Apple Watch when caring for patients. It’s easy to put your phone on silent and in your pocket during your clinical shift, but even if your Apple Watch is silent, it will still light up when you get a notification, similar to your iPhone. Imagine doing a physical exam on a patient and as you’re doing their abdominal exam, you get a text alert from a friend making an inside joke from the weekend — definitely not professional as your patient is in easy viewing distance of your wrist. There is already evidence that shows smartphones themselves can create distractions during patient rounds, one can only imagine how much worse it could be with the Apple Watch. As the study by Katz-Sidlow and colleagues showed for smartphones, I think having policies in place on how this new technology should be used in the hospital setting is something that should start being discussed. There are definite ways the Apple Watch could be utilized for a clinical shift — I wrote an article on 10 ways the Apple Watch could be utilized in medicine recently — but its form factor makes it significantly less likely to provide anywhere close to the utility you have with your smartphone. The short of it is the Apple Watch isn’t going to have anywhere close to the same clinical utility that smartphones provided to physicians for patient care. So then, is the Apple Watch unprofessional to wear during patient care? Yes, especially with the lack of the ability to change notifications in a granular fashion currently. But to get around this, Apple Watch does have an airplane mode feature, effectively turning off all notifications — but this arguably makes it worthless to wear the Apple Watch in the fist place. There is a “do not disturb” function as well, but it remains to be seen if that will prevent the backlight from turning on as well. 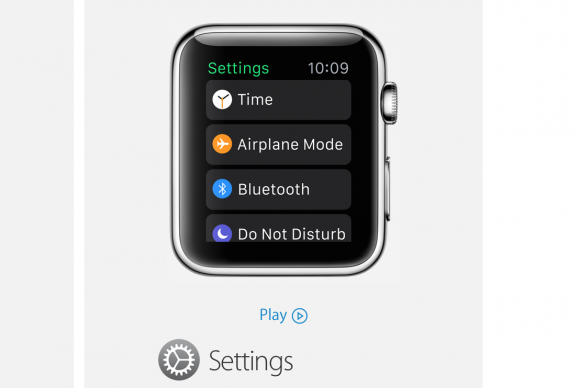 I do know one thing, if I see my medical students and residents wearing the Apple Watch when caring for our patients, I will definitely ask them about the notification setting they have on their Watch, as my own Apple Watch will be stuck in airplane mode for the time being. If you have comments on this, continue them in a forum thread we have started for this discussion. 2 Responses to Is it unprofessional for physicians to wear Apple Watch? Nice article! I think over time, you will be able to control the notifications you receive? Whilst I am still waiting for mine to arrive, I’m surprised that going into the phones settings menu, then notifications and then the app, won’t allow you to turn off notifications for individual apps? Surely this would work, albeit another step to take?